Chickens & Eggs, oh my! 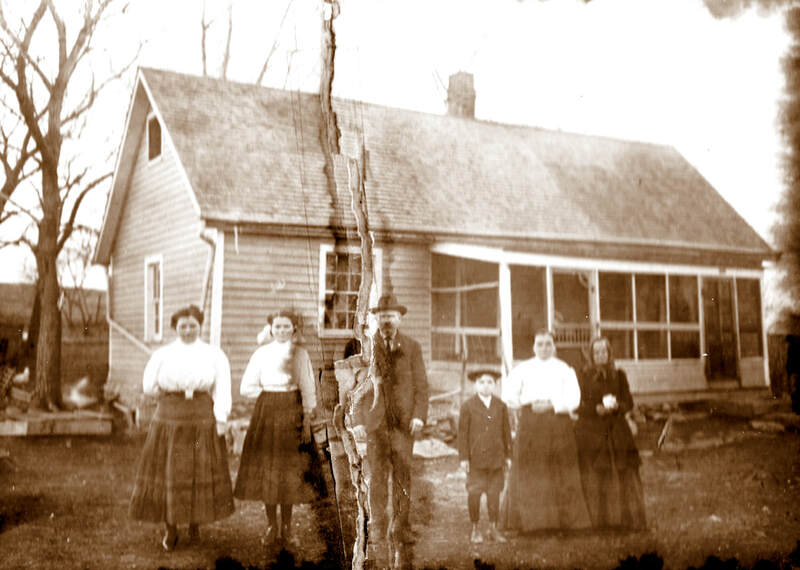 Charles and Nora Harris Stevicks, shared by their granddaughter Veda Flyger. 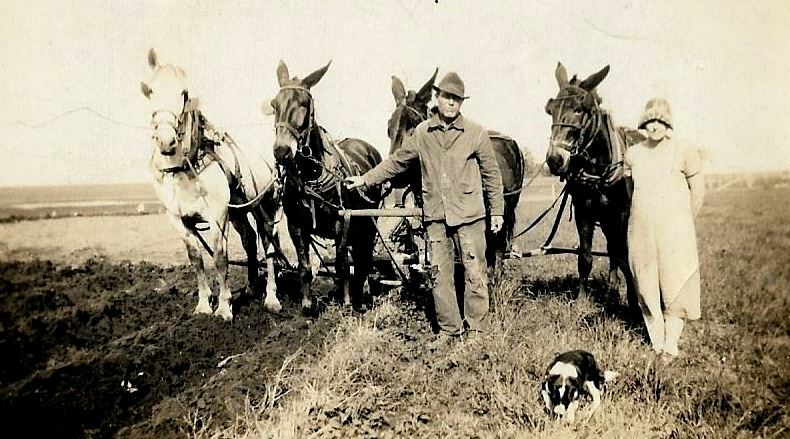 Veda says that her grandfather often worked horses and mules together. Photo 3614. Left --Evelyn & Millie Hubka. 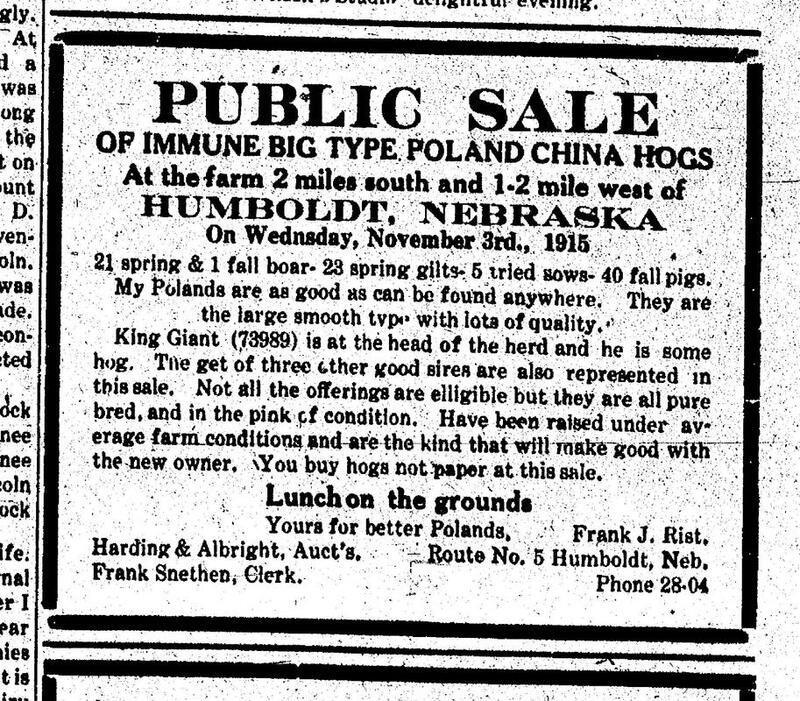 Right, on top of the stack, Joe & Ferdinand Hubka. Bottom of stack -- name obscured. 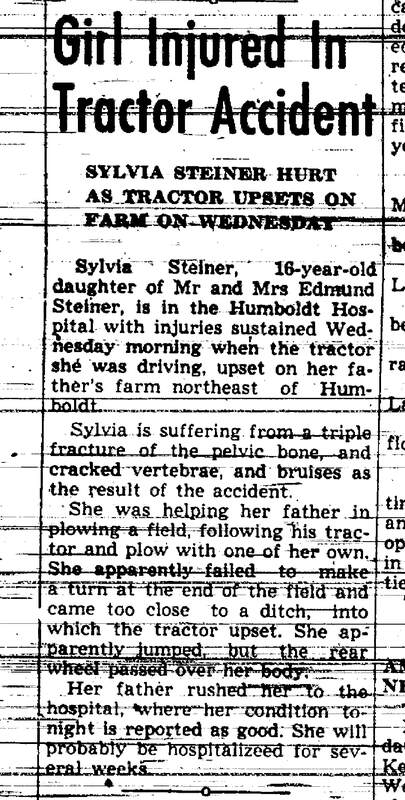 Evelyn was a daughter of Amos Hubka, and the Evelyn, Ferdinand, and Joe were children of Amos's brother Joe Hubka. Photo 2005, shared by John Duder. 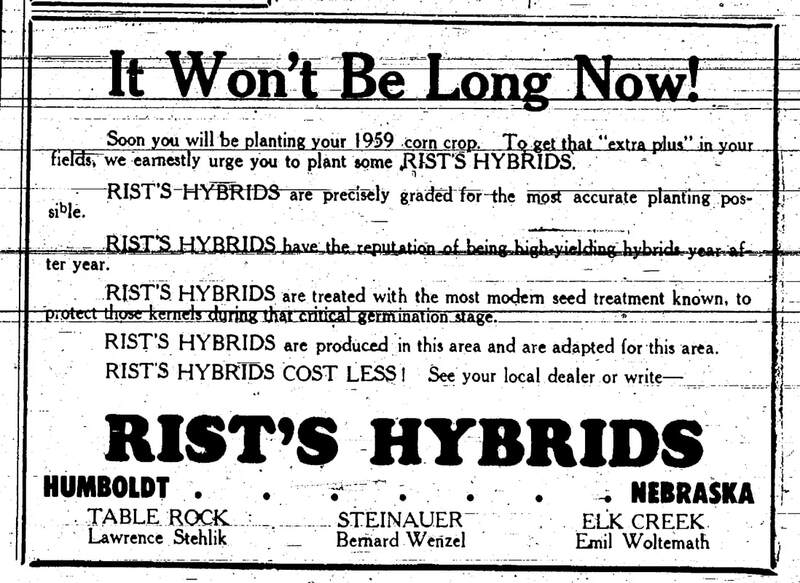 The names come from another copy shared by Steve Staley. 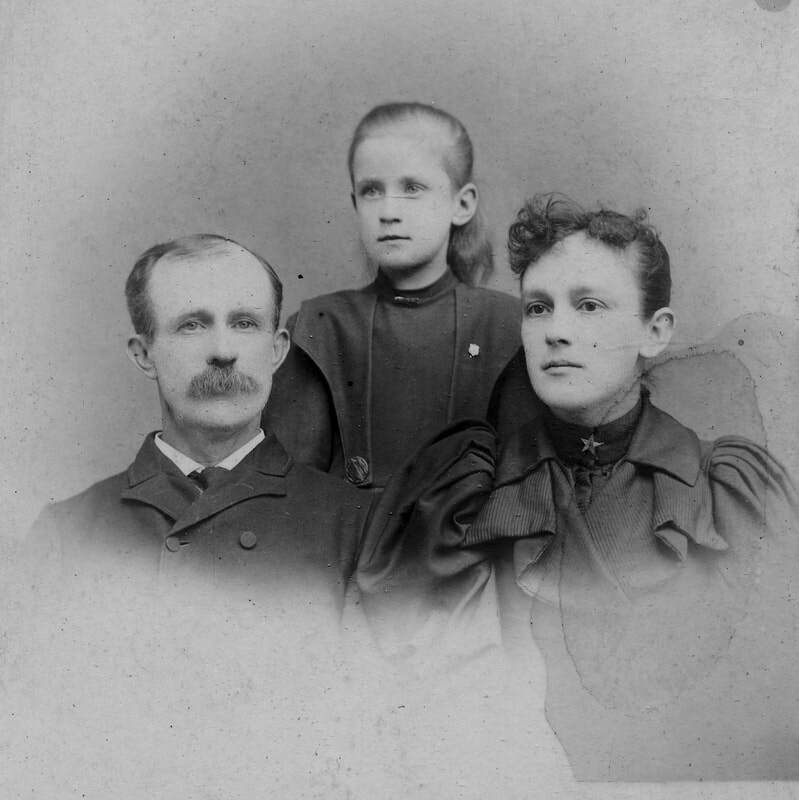 James Kopp, Anna Kalina, Josef and Karolina Kalina. Photo 1520. I think they are baling loose hay to square bales. 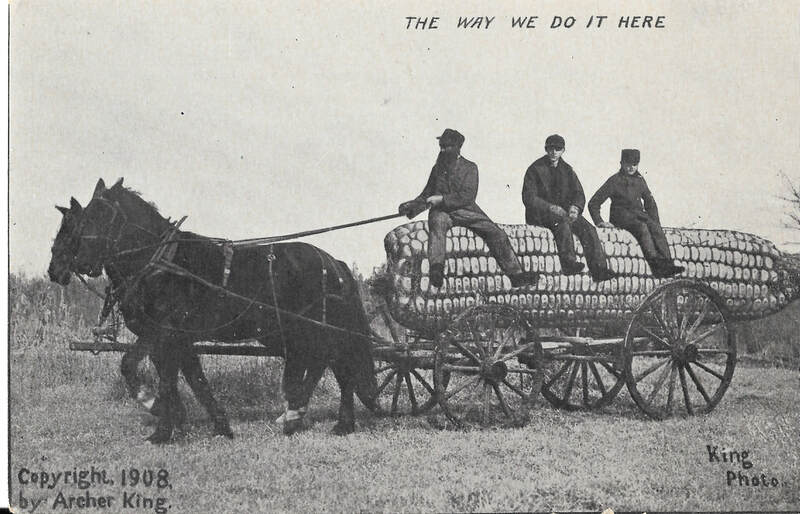 The horse goes around the turnbuckle and the drive shaft runs the baler that the middle man is standing by. So the horse walks round and round, stepping on the connection to the bailer as he goes. 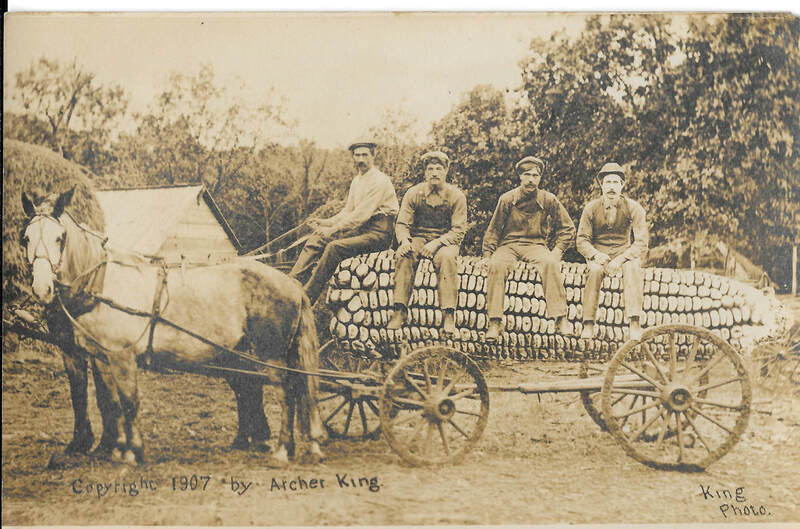 The Historical Society's copy of this photograph does not identify the men. 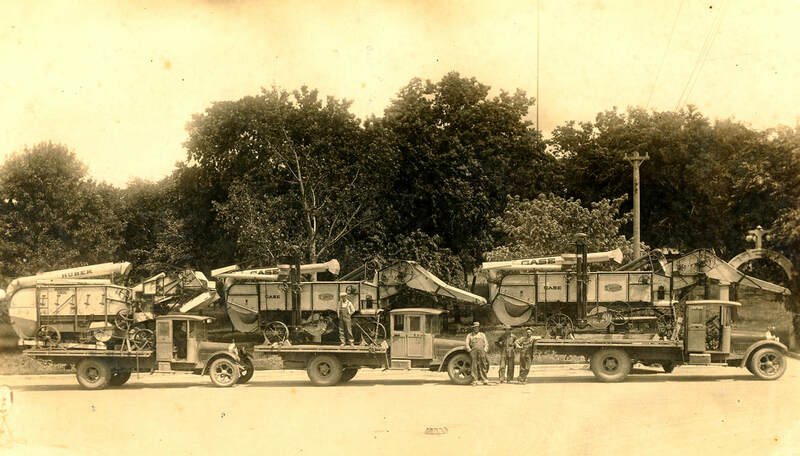 When I posted this on Facebook, Historical Society member Tim Nord recognized them as Stepaneks. 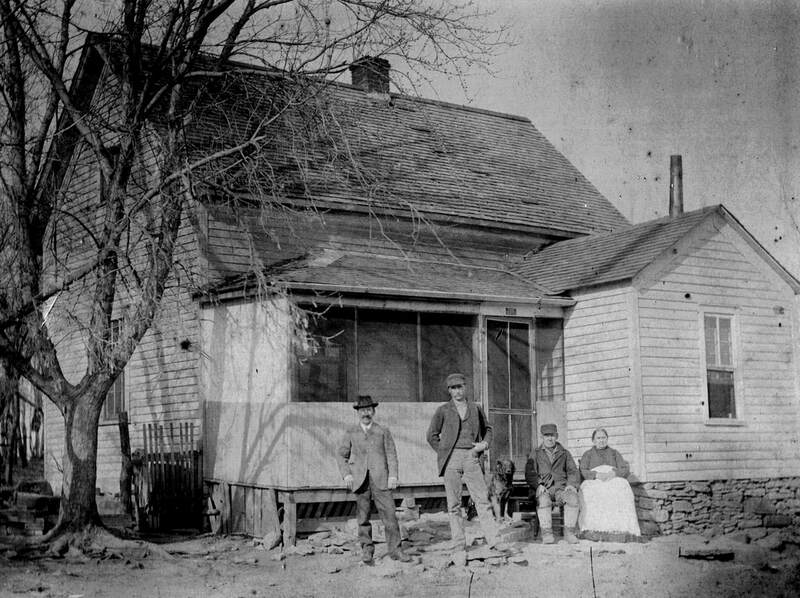 He is the son-in-law of Lawrence and Nettie Stehlik, and Nettie had this same photograph in her collection. 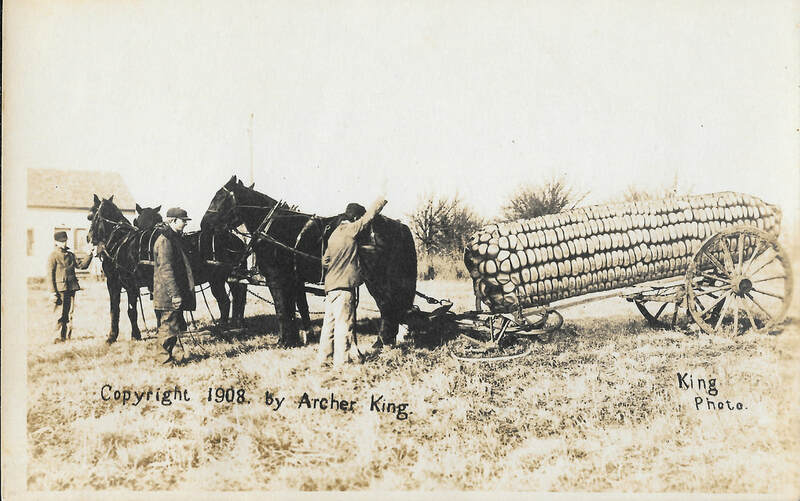 1896 harvest picture by Ed Riley, given to Charlie McCourtney. Photo 560, shared by Charlie's daughter Delores Penkava. 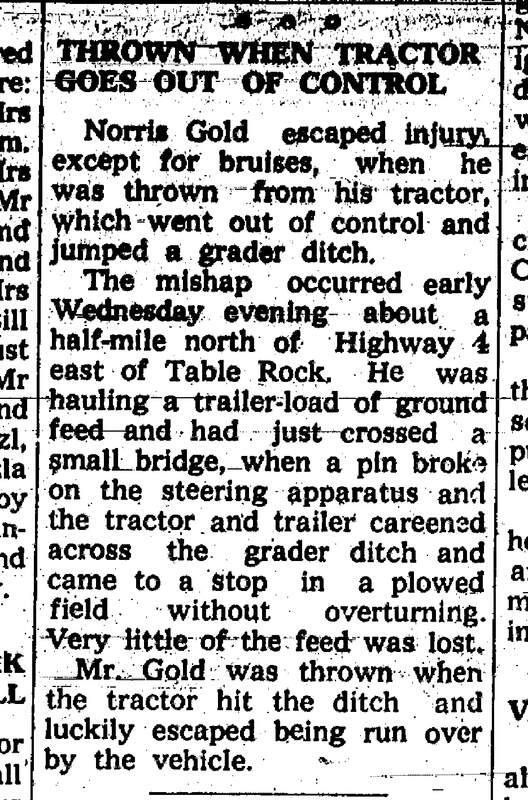 Haymaking with Henry Hays. 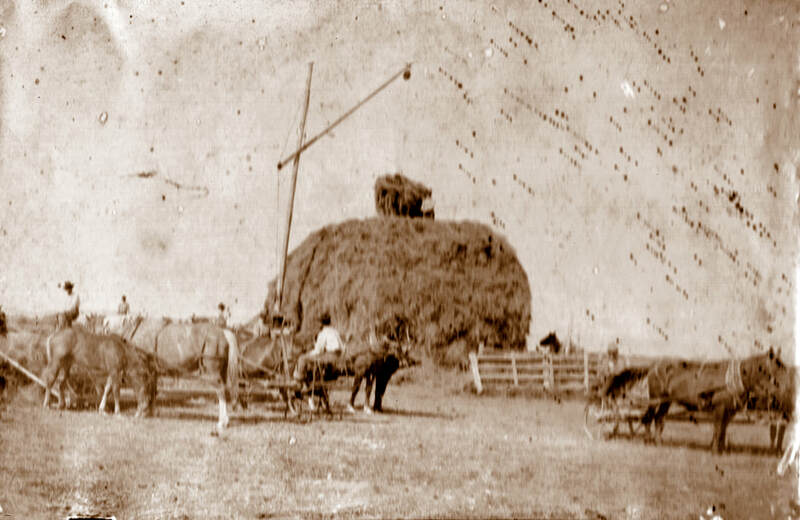 Lloyd Vrtiska looked at this photo and said, "That's the kind of haystack I fell off of and broke my hip." He was young, playing with other kids, and accidetally got pushed off. He was in the hospital in Lincoln for a year; his family took the train to see him. Photo 1515. 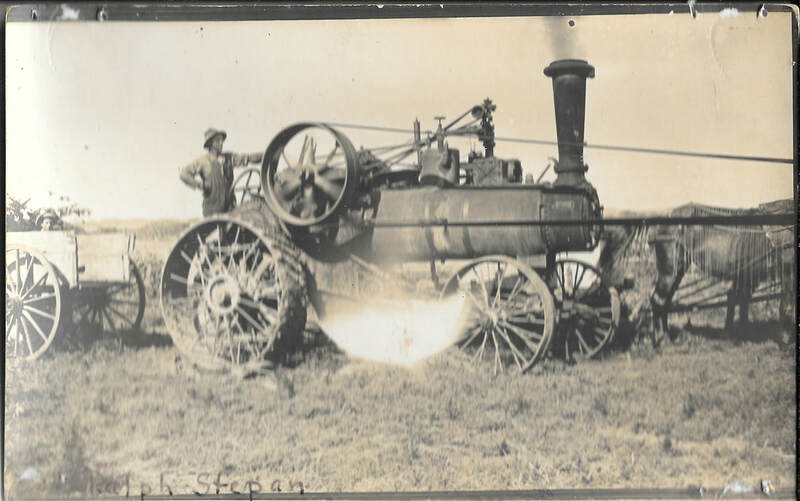 Harvest with steam power in 1915, Ralph Stepan engineer. Photo 995. Johnny & Stanley Bowen. 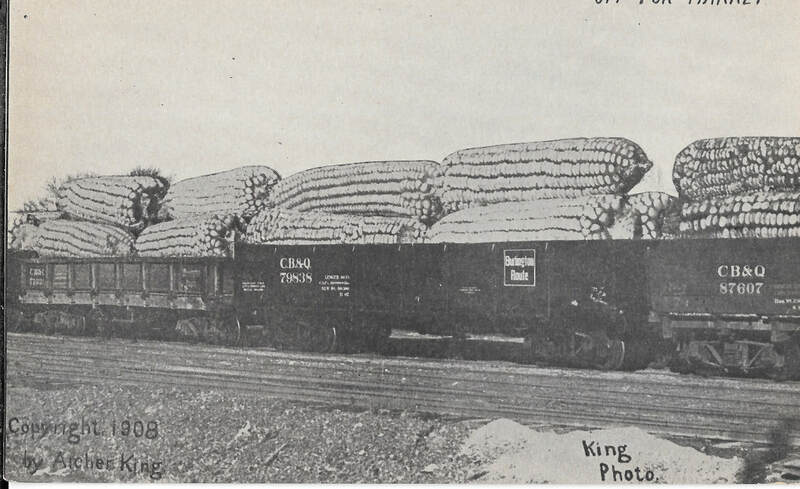 Photo 1758, shared by Brad Bowen. table rock. 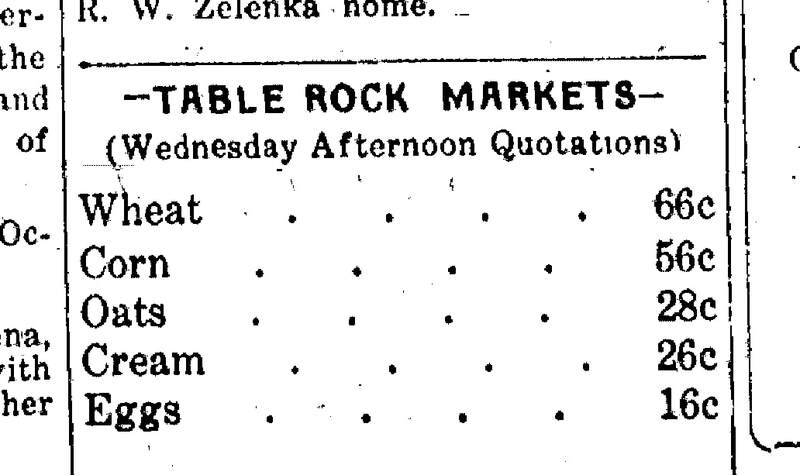 yes, table rock. 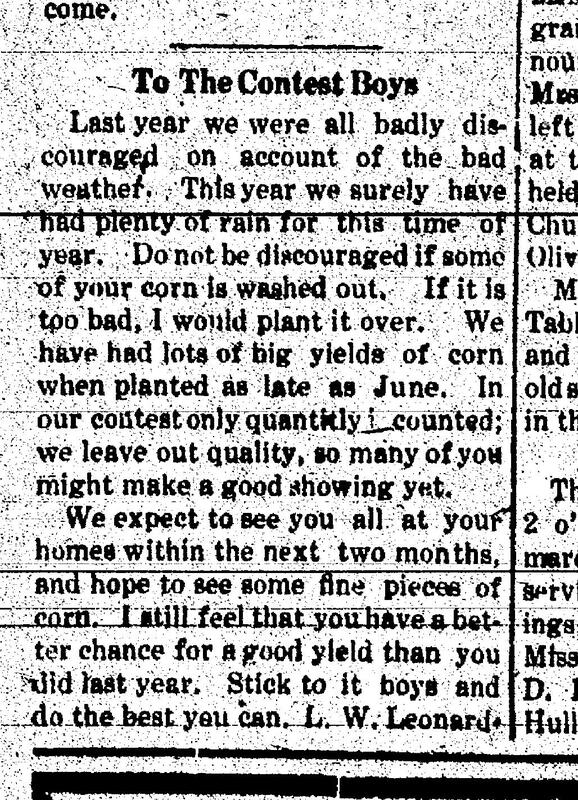 we know how to grown corn. 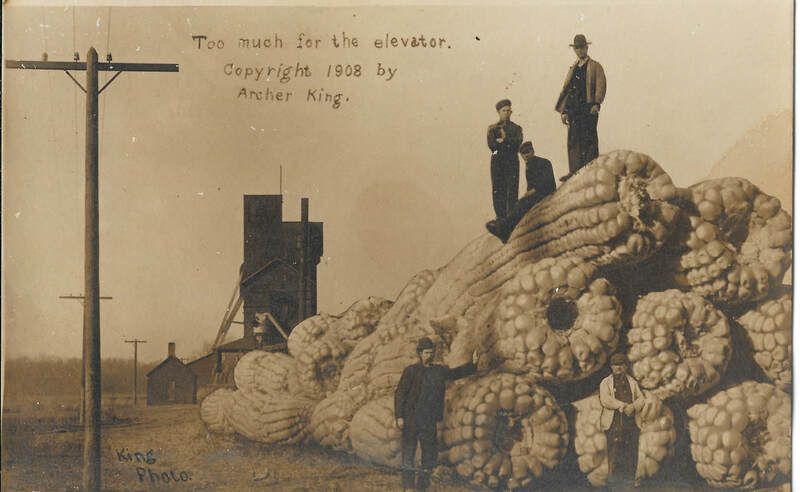 Archer King, then of Table Rock, was a pioneer in making novelty postcards. It wasn't so easy in those days, with not only a lot of precision cutting but also getting the proportions of existing and fantastical things. Photo 1618. These are probably local men, but who? Photo 1602. 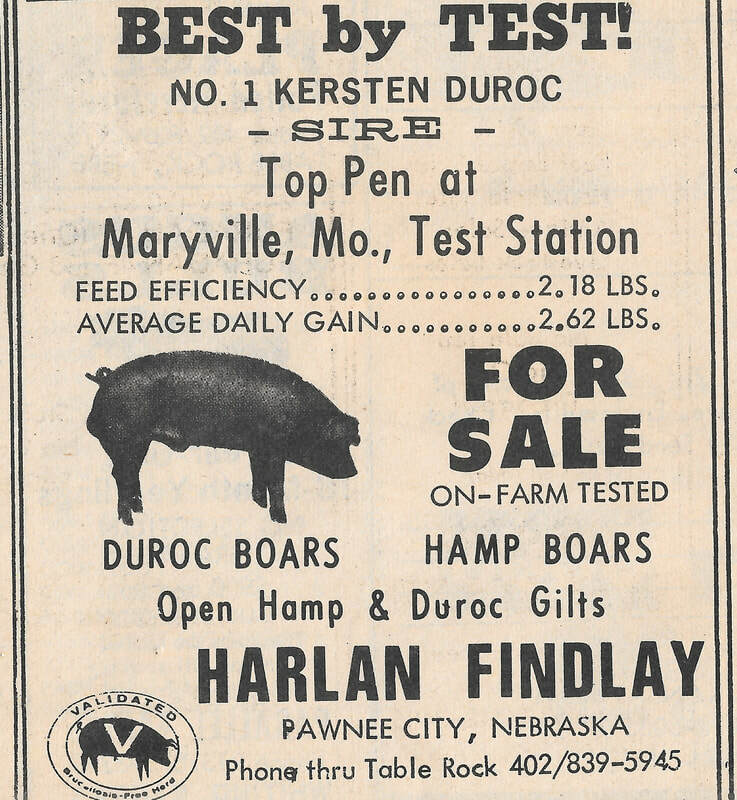 This one was shot down by the Table Rock depot. Photo 1604. 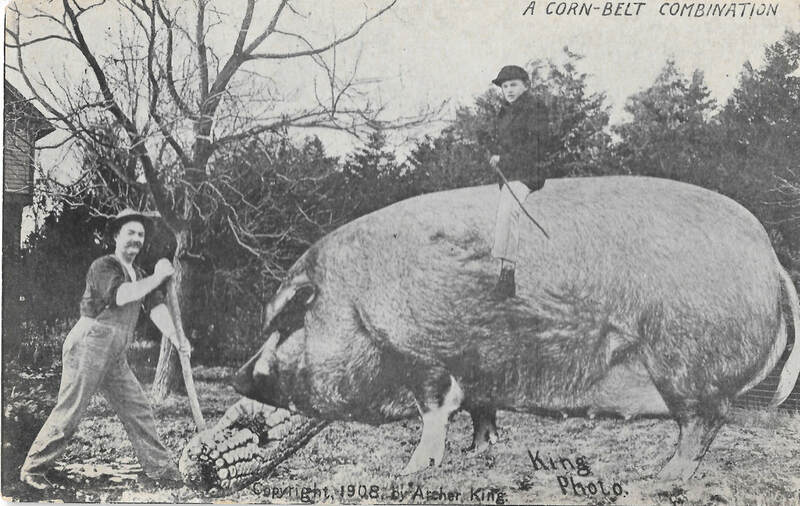 October 1954, State Bank of Table Rock advertisement leads off, "It's Corn Shucking Time." 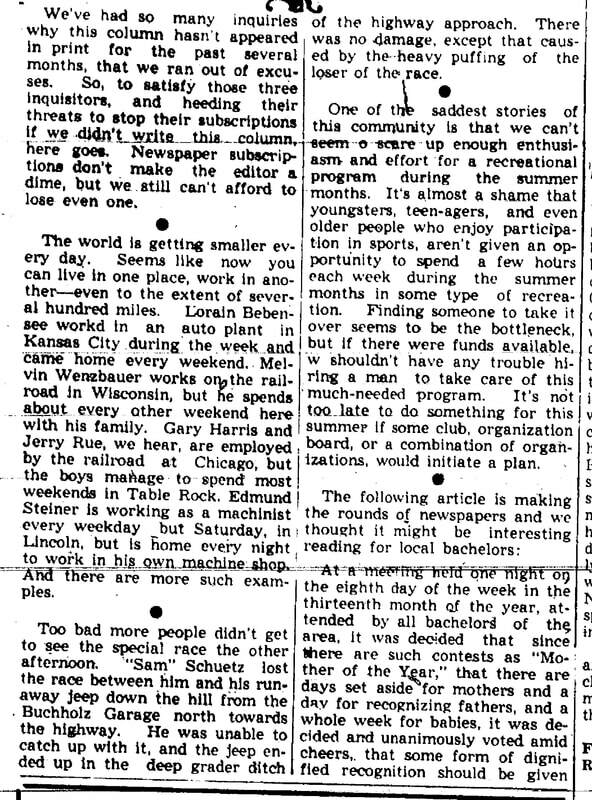 This is Gordon Bethel, founder of the Table Rock Historical Society. Those gauntlets are for husking corn. There is a piece of the leather that goes in the palm, holding a hook to grab the husk. 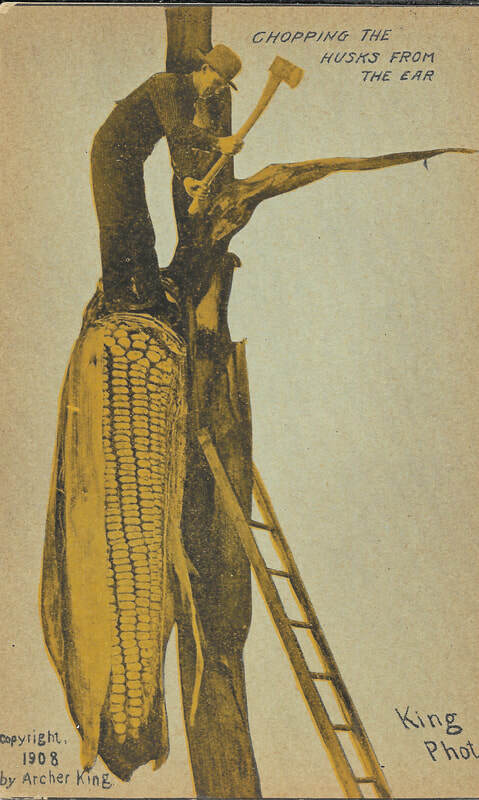 The husk is stripped and tossed one way, the ear of corn another. Photo 3113, shared by Jeanne Bethel. 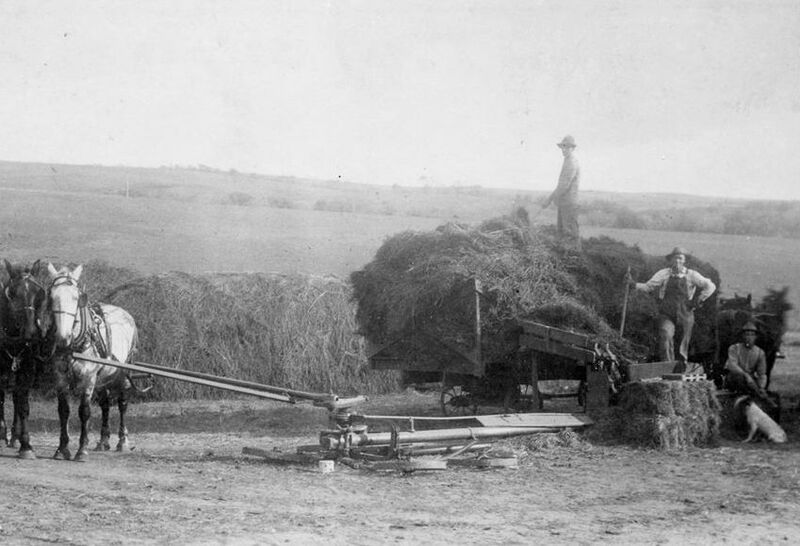 Threshing in Oklahoma, the crew of "Albert Wopata's brother." Photo 853. Hay stacks by John Sochor. It was said that a good stack would come to a point that would split a raindrop. 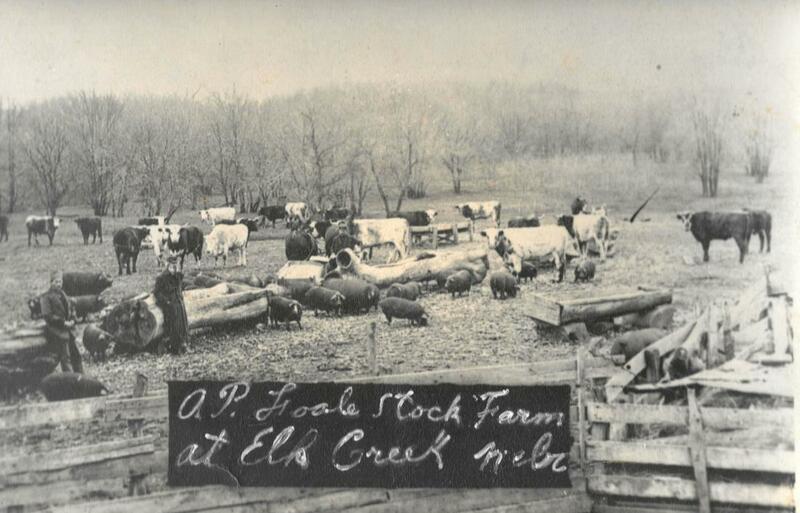 Harvesting at Strejc's farm. Photo 849. Harvesting. 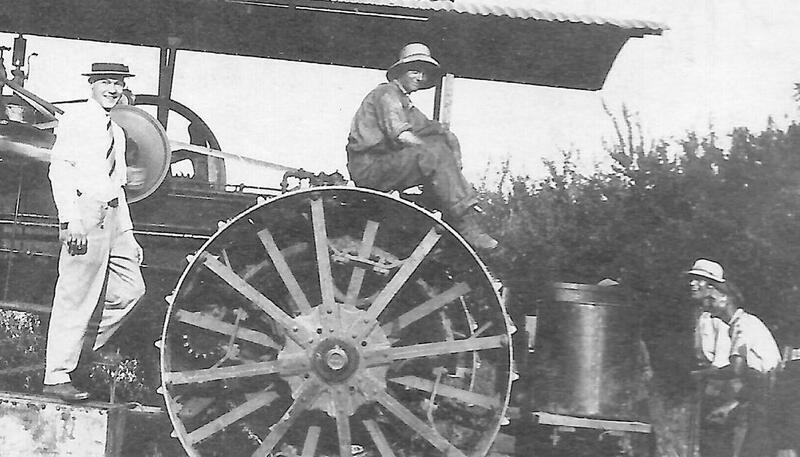 Rudy Fritch, Jr., is the man in the center foreground, leaning on the fender of the tractor. 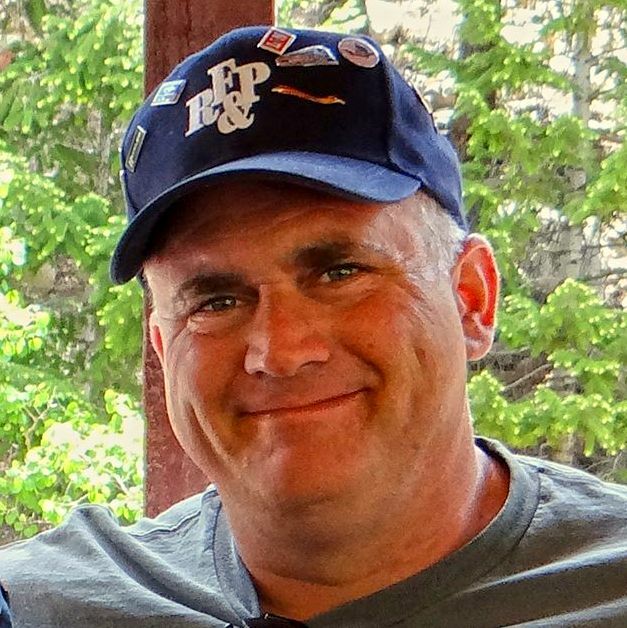 Photo 621, shared by Ken Fritch. 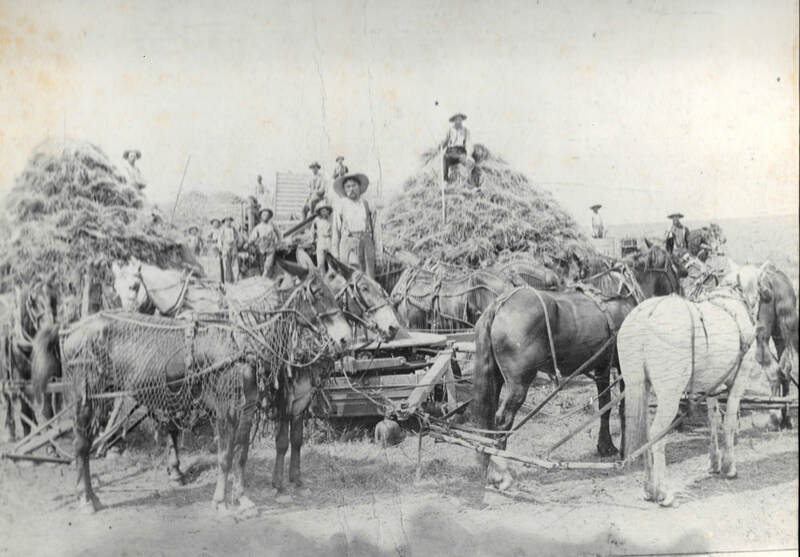 Last steam threshing mach harvest in county, Jim Kotalic, Bob Vondrasek, Jess Vondrasek, Dale Goodenkauf, Johnny Kotalik, Ron Gilbert, Norman Marfice, and (partially cut off) John Duder. Photo 109. 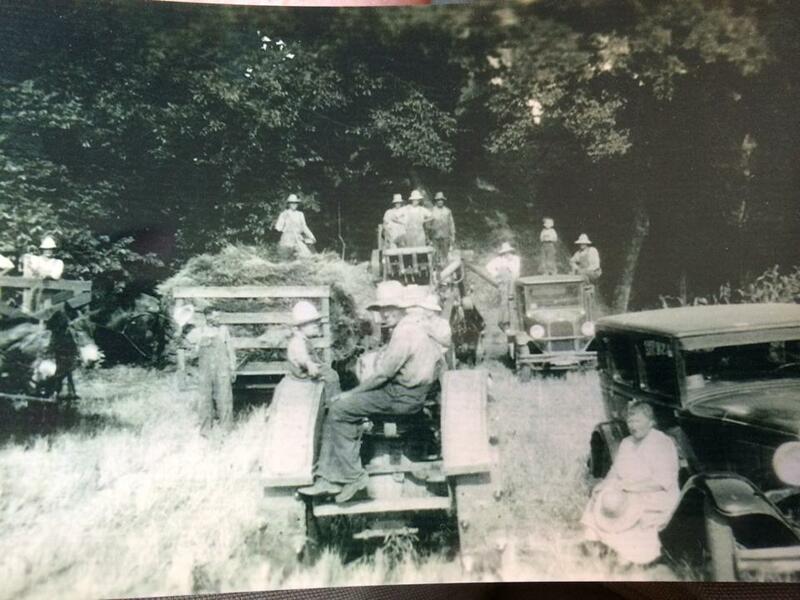 Johnny Bowen, harvest in 1946 with tractor and combine, Photo 1747, shared by Brad Bowen. When posted on Facebook in March 2018, this photo taken by Arvid Blecha in about 1942, led to more than one discussion. Chief among them were the empty lots on either side of Knapp's IGA in the middle of the blocks, filled with trees -- the aftermath of the disastrous fire of 1920 that wiped out most of the block The other discussion was about that truck in the foreground. "What IS that? A...." "
This is one of many such conversations on the Historical Society's facebook page, where photographs of all kinds are posted: Nothing earthshaking, just folks having fun remembering. At first I thought the truck was a tow truck or something similar. 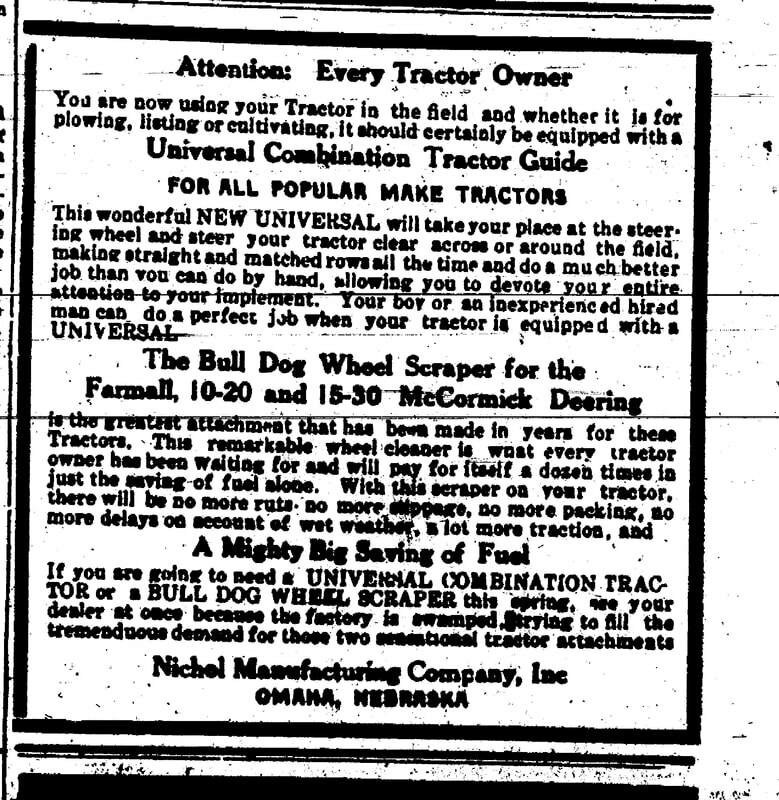 Looking at it closer it appears to be some sort of farm equipment .... A thresher perhaps??? My hubby, a retired farmer said maybe a corn sheller? Any way it’s a good un. 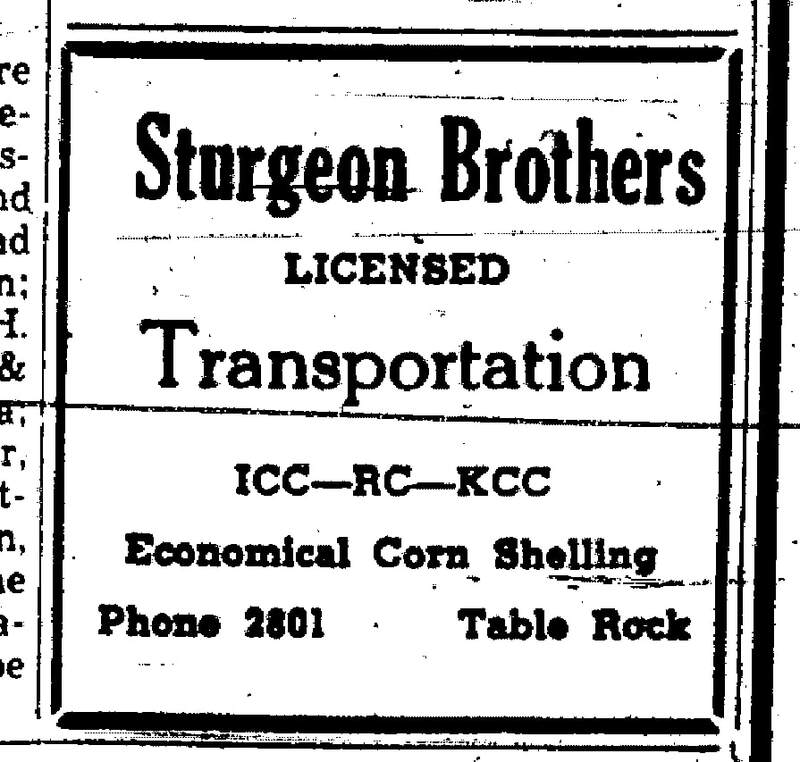 Didn't the Sturgeon brothers have a corn sheller mounted on a truck? Jerry, ​do you mean Elmo Schaardt? 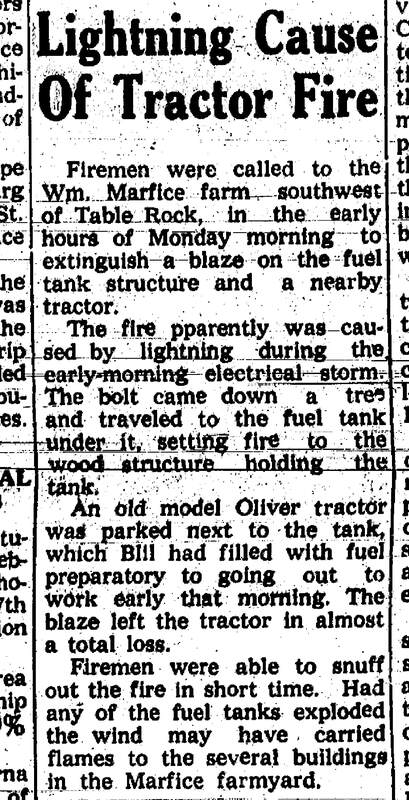 Don't know about him but Norman Gottula had one around Elk Creek. I spent to many hours on the wrong end of a scoop feeding that one!! Yes. You are right on Norman. 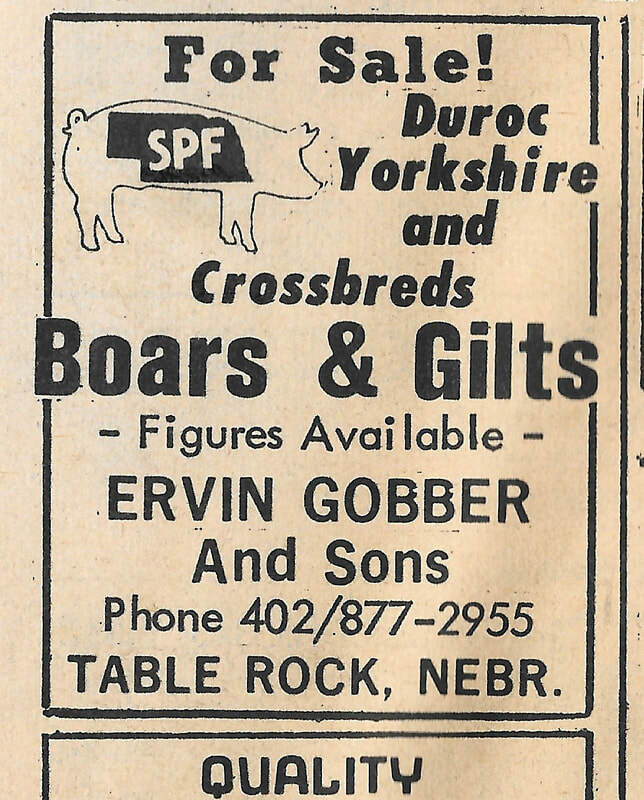 I was thinking Schaardt Bros had one. 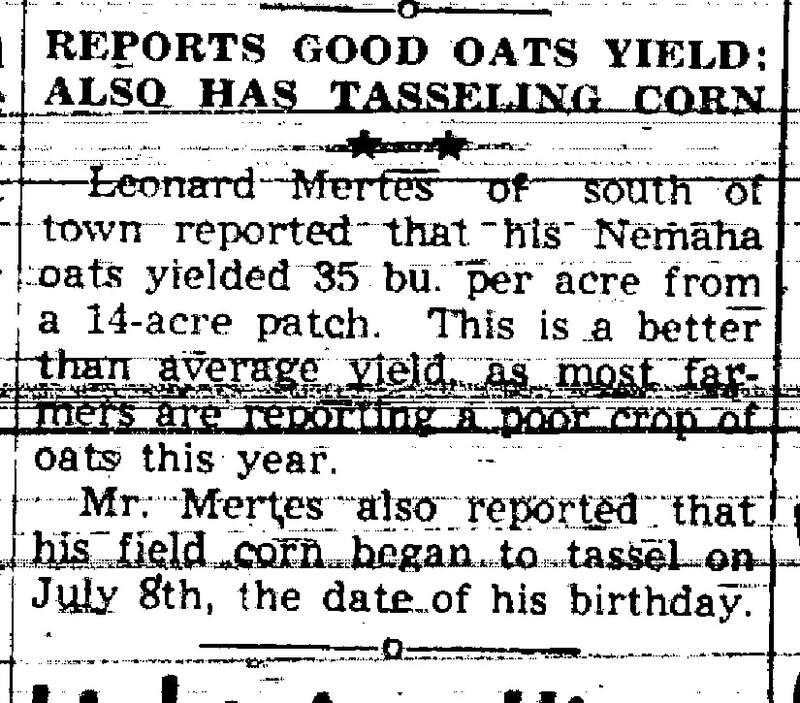 Some guys had ear corn stored in granarys. Imagine how hot that was scooping a 16 X 10 ft bin out through a 32 inch door! 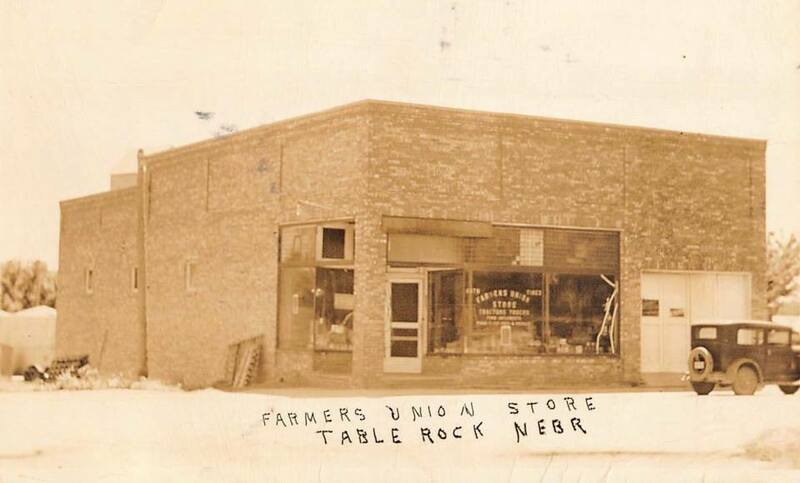 Farmers Union in the 1950s, Photo 4022, shared by Judy Aylor. 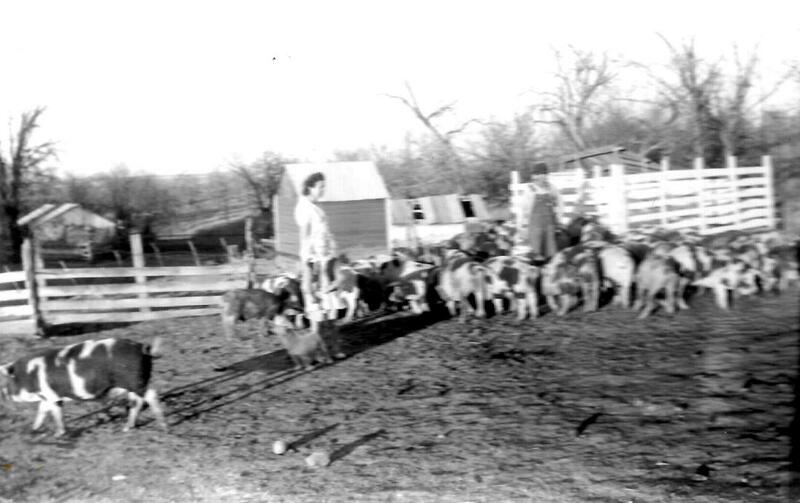 Unidentified farm couple and their pigs. Photo 3757, shared by Gary Frank. 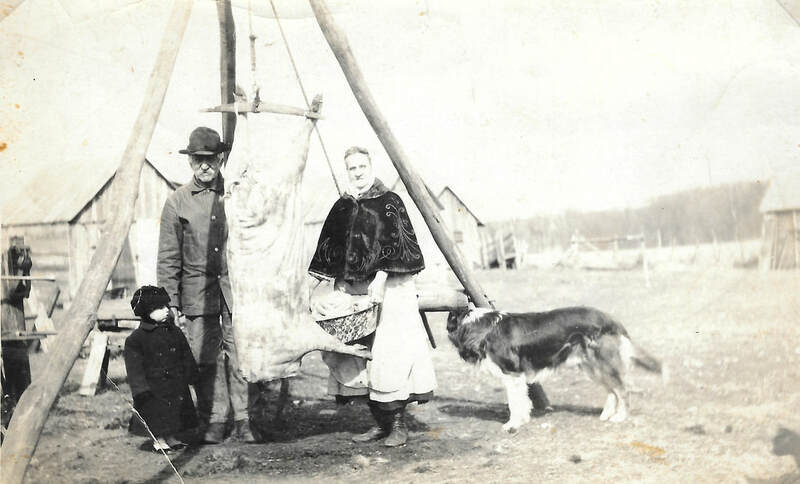 Peter & Julia Gold with little Howard Binder, butchering a hog. Photo 2924, shared by Richard Binder. 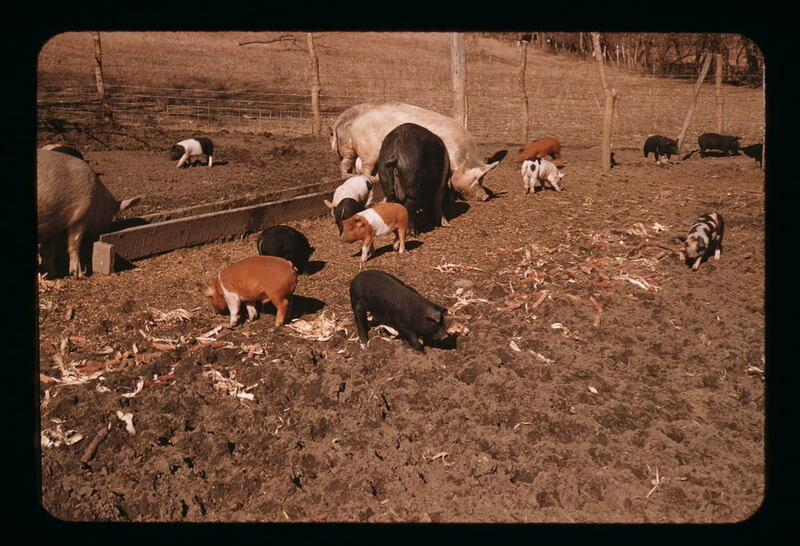 Hogs at the Ed Tomek farm, 1955, Photo 1052, shared by Edward Tomek. 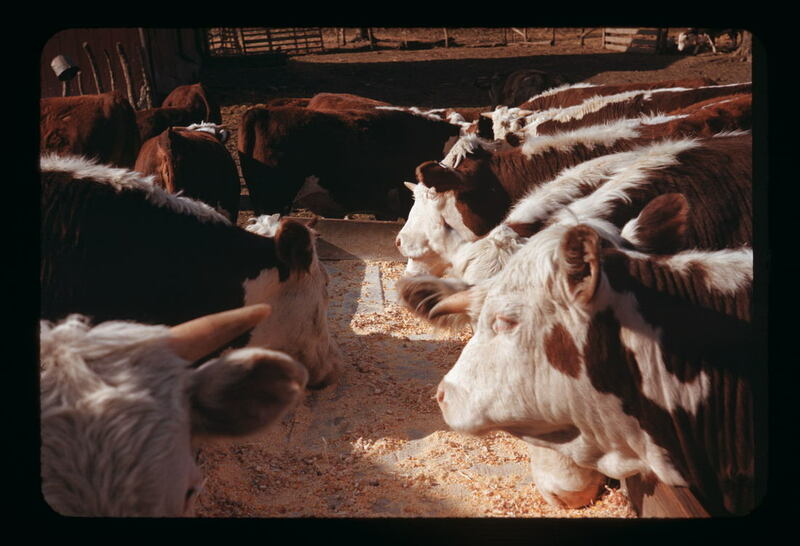 Cattle at Ed & Emma Tomek farm, shared by Edward Tomek, 1954. Photo 1011. 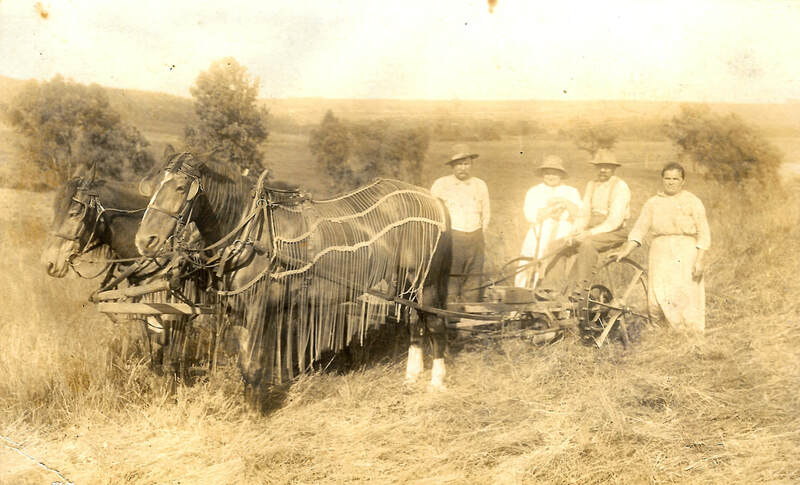 "Uncle Wilbur [Buchholz] Shucking Oats," Photo 2451. 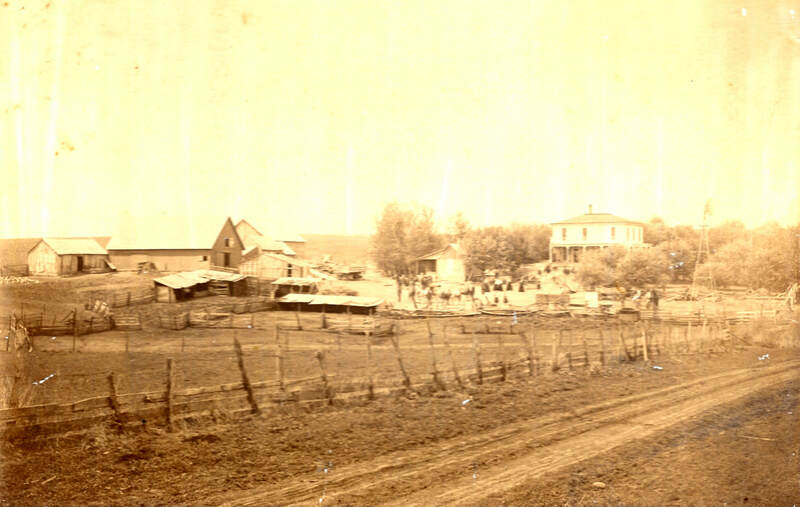 Photo 1541, the Frank family farm, from the Biographical Album for Johnson and Pawnee Counties. 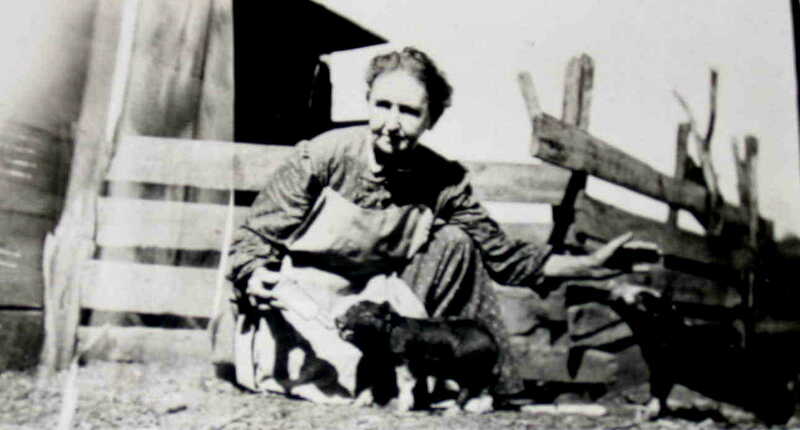 Peter Hales, wife, and Fannie. Photo 119. 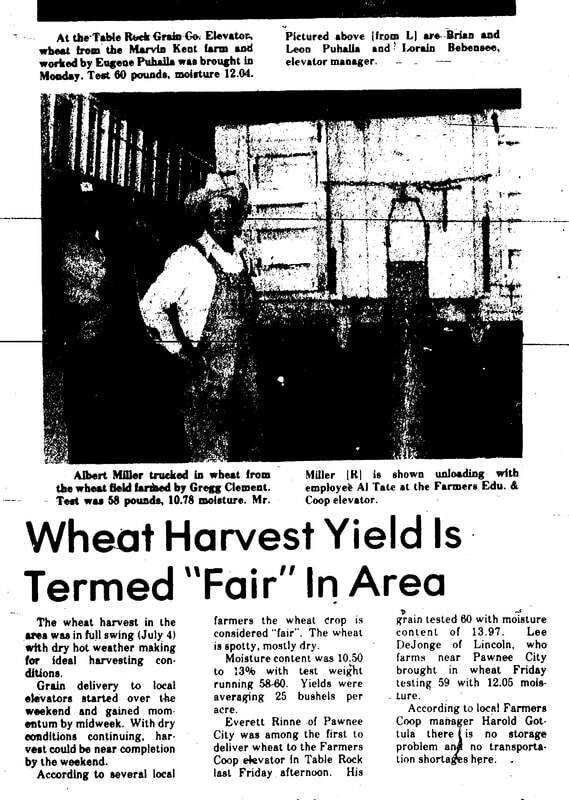 July 4, 1957, Ed Flider brings in the first wheat. Bob Workman brings some in, too. 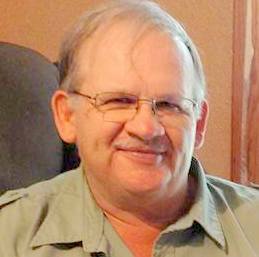 Lyle Hunzeker is in charge.